We could not resist this stunning pair of mid-20th century oval faux bois planters of a very generous size with a deep planting area. 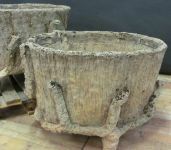 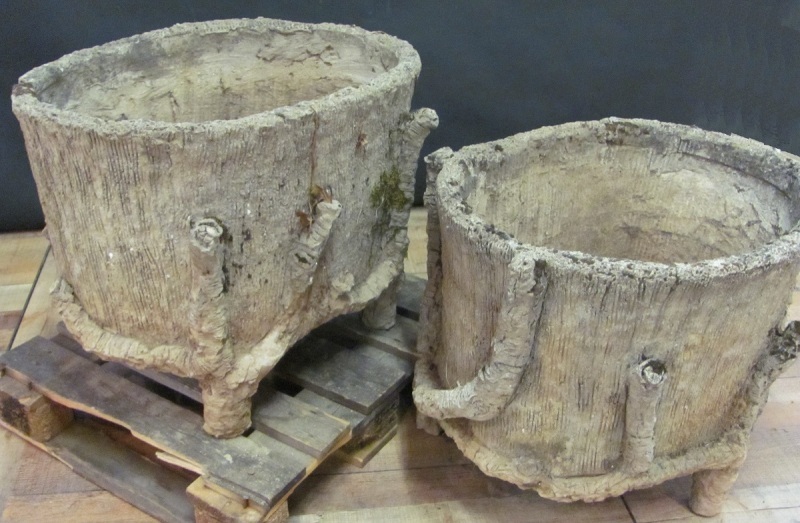 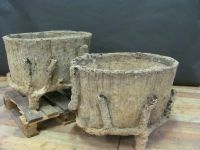 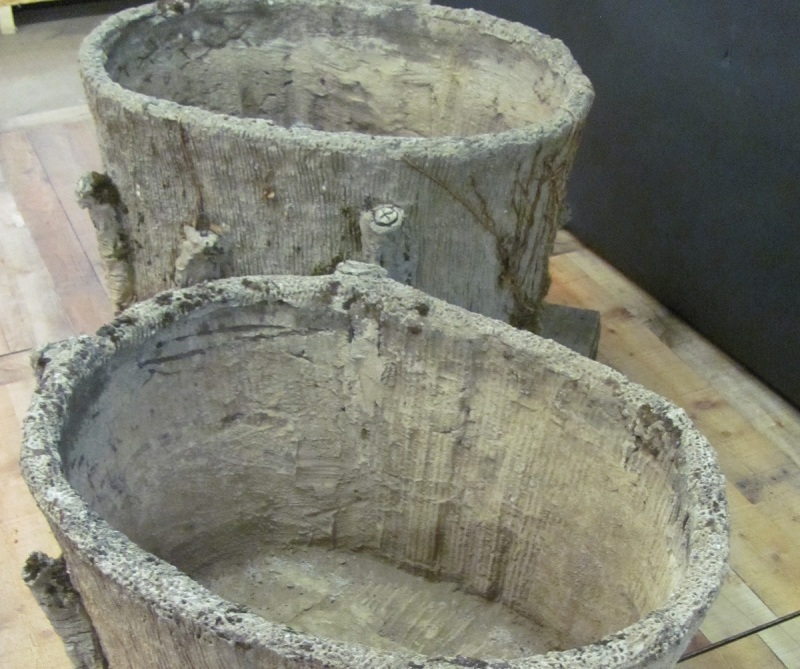 Naturalistically decorated with raised feet forming integral branches that realistically wrap the base of each planter. Measurements: Height: 24" Width: 30"